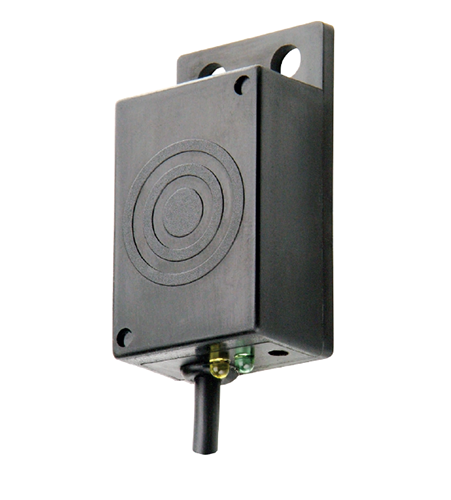 Gems® type CAP-100 capacitive level switches offer a unique level sensing solution for a wide variety of bottle types including plastic, glass, and fiberglass. The non-contact sensor is ideally suited for medical applications such as waste, reagent, or diluent liquids as well as dark, sticky or viscous fluids. The easy-to-calibrate sensor is available in both aqueous and non-aqueous versions and can be delivered with factory preset sensitivity for quick installation for OEM orders. The CAP-100 may also be used as a proximity sensor to detect the presence of solids such as pulp & paper. Kobold® type NCS & NCP float level switches are designed to meet a wide range of applications. They use a hermetically sealed reed contact actuated by a magnet in the float. They can be mounted in the tank top or bottom and will operate with up to a 30° tilt from vertical. They are field selectable for normally open or normally closed. They can also be made intrinsically safe for hazardous application by the use of I.S. barriers. Gems® type CAP-200 capacitive level sensors are easily threaded directly into ½” NPT fittings for an easy level sensing solution within a wide variety of metal and non-metal tanks. The highly accurate sensor is built from durable Delrin® material, and is available in both aqueous and non-aqueous versions. The easy to calibrate sensor can be delivered with factory preset sensitivity for quick installation by OEM. The CAP-200 may also be used as a proximity sensor to detect the presence of solids such as paper or pulp..
Kobold® type NKP is an economical level switch available in polypropylene or PVDF wetted materials allowing for wide compatibility with many aggressive liquids. It is distinguished by its repeatable response, compact size, and high capacity reed switch and is designed for installation into the side walls of tanks. The switch function may be changed from normally open to normally closed by rotating it 180°. Gems® type LS-1700 small size switches are made from alloys and offer rugged durability with broad heat and pressure capabilities. They are idea for shallow tanks or restricted spaces, or for low-cost, high-volume use.